A simple trip to the pharmacy in search of paraben and sulfate-free shampoo for my newly bald head, courtesy of chemotherapy, had a morbid ending. Tired of hiding my dirty little secret, I faced my fear of the awkward silence and strained facial expressions I imagined would follow the "C" word and asked the saleswoman in the beauty department for a gentle shampoo. 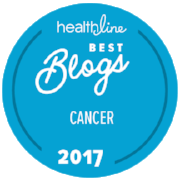 "My sister-in-law had breast cancer, stage two," she competed; I felt relieved she wasn't afraid of uttering the taboo word. I compassionately replied, "I'm sorry, I hope she's okay." "She beat it..." the saleswoman said matter-of-fatly. "Thank God!" I expressed, unprepared for what followed: "Then the cancer came back in her other breast and she died." Dumbfounded, I looked her in the eyes and expressed my condolences. I left without the shampoo. At a meeting I regularly attend, I announced my health condition and then found myself cornered by a man who detailed his skin cancer diagnosis, treatment and recurrence. I struggled to free myself from this un-welcomed, intimate monologue, and, realizing I didn't approach him with "Hey, do you have any personal experience with cancer you can share with me?" I expressed my apologies, excused myself and backed away. On account of the beast, my filter has been short-circuited and I've unapologetically assumed a protective shield. I wonder, what's with the competitive cancer stories? What psychologically motivates people to dump? I believe people have good intentions and share their story in a sincere way to relate, grieve or sift through their own unresolved feelings of illness and death. But how do some think a story of cancer-related death is going to help the patient? Well-intenders: check your motives and think twice before unloading your cancer story like you're in a confessional. Admit your ignorance. 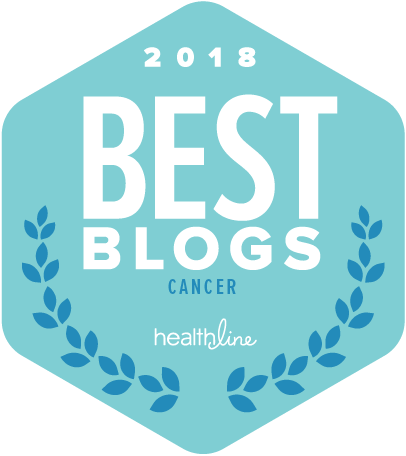 There are so many different types of breast cancer; your colleague's breast cancer journey may have nothing to do with (my) stage 3, triple-negative cancer, ACT chemotherapy, double mastectomy and breast reconstruction. Be honest, "I don't know what to say." So....what can you say with sincere intentions to show compassion to someone with cancer? The most thoughtful conversations I've engaged in are pre-empted by "Do you mind if I ask you about your cancer?" Once I give the green light, I'm comfortable answering: How are you doing? How are you feeling? Where are you in the process? I'm here for you if I can help in any way, here is my phone number, may I take yours?" Adriana Haslet-Davis eloquently recounts her experience on Ted Talk, "Sometimes, it means just show up, shut up and hold the person's hand, and if you must say something, say 'I do not understand but it is so important to me to tell you how desperately I want to.'" Admit your ignorance. Check your motives. Be honest. It's awkward for us all. "...if you're going to open your mouth, ask yourself if what you are about to say is likely to provide comfort and support. If it isn't, don't say it."